Hemp holdout Texas is taking a big step toward embracing the federally legal plant, with one agency announcing a rule change to remove the plant from the state’s definition of marijuana. But entrepreneurs hoping that Texas will allow a hemp industry before federal agencies take action say that the April 5 change isn’t enough to allow the booming industry to take root in the nation’s second-largest state. 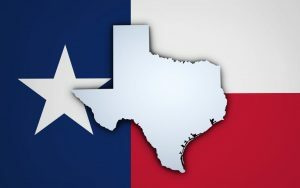 The change was quietly announced earlier this month, when the Texas Department of State Health Services (DSHS) added a notice to a state register that it would amend its definition of marijuana to carve out hemp with no more than 0.3% THC. The agency said the change would align Texas’ definitions with the new federal standard adopted in the 2018 Farm Bill. Hemp activists applauded the change, noting that the agency changing its definition was the same one that said last year it would yank CBD products off shelves. That crackdown was put on hold pending a legal review. But hopes that the DSHS definition change would open the door to a Texas hemp industry proved too optimistic. Hemp activists and attorneys familiar with law say Texas has other definitions of hemp that keep the plant on shaky legal ground. Even though the Farm Bill stipulates that a federal standard will govern nationwide hemp production, the plant remains illegal in states with drug laws that ban all varieties of cannabis production. Texas is a prime example of where state and federal hemp conflicts are rife. For example, hemp remains in the Texas penal code, and the state does not expressly authorize hemp farming and manufacturing. “Texas still needs to adopt a hemp program and reform, not just its controlled substance laws, but also its food and drug laws,” said Shawn Hauser, a Denver-based hemp attorney who has traveled to Texas to testify on behalf of expanded hemp production. The Texas uncertainty has CBD retailers such as Amy Wazwaz uncertain about what’s allowed. Wazwaz, who owns two GM Tobacco stores in the Dallas area, saw local law enforcement raid her stores last month and remove roughly $60,000 to $70,000 worth of CBD vape products and smokable hemp flower thought to violate Texas CBD rules. Wazwaz said law enforcement was not swayed by her documentation that the CBD products came from legal hemp grown in other states. “They don’t seem to care about whether it’s really hemp,” Wazwaz told Hemp Industry Daily. Wazwaz, who was not charged with a crime, said she is challenging the seizure and believes she’ll get her CBD products back. But, in the meantime, her customers are complaining that they can’t get products commonly sold by other retailers. The Texas confusion is frustrating to would-be hemp growers, too. Michael DeGiglio, CEO of a Canadian company that produces greenhouse-grown tomatoes, bell peppers and cucumbers, has plans to produce hemp in several Texas greenhouses – but not until Lone Star State lawmakers sign off. Village Farms International plans to harvest four or more crops of hemp each year in the sunny southern state, DeGiglio told Hemp Industry Daily. “We’re going to continue to wait for the legislative process,” he said, agreeing that the DSHS definition change isn’t enough to convince his company to start growing hemp in Texas right away. “With that in mind, we’re going to take part of greenhouses to start immediately” when Texas law changes, he said. Village Farms trades as VFF on the Nasdaq and the Toronto Stock Exchange. Despite the confusion, hemp activists say taking hemp out of Texas’ controlled substances act is a big deal. Texas Agriculture Commissioner Sid Miller said last December that farmers there should be allowed to join the national hemp boom, and hemp advocates such as Hauser plan to push for hasty legal change in the remaining weeks of this lawmaking term. The definition change could pave the way for bigger changes, Hauser said.